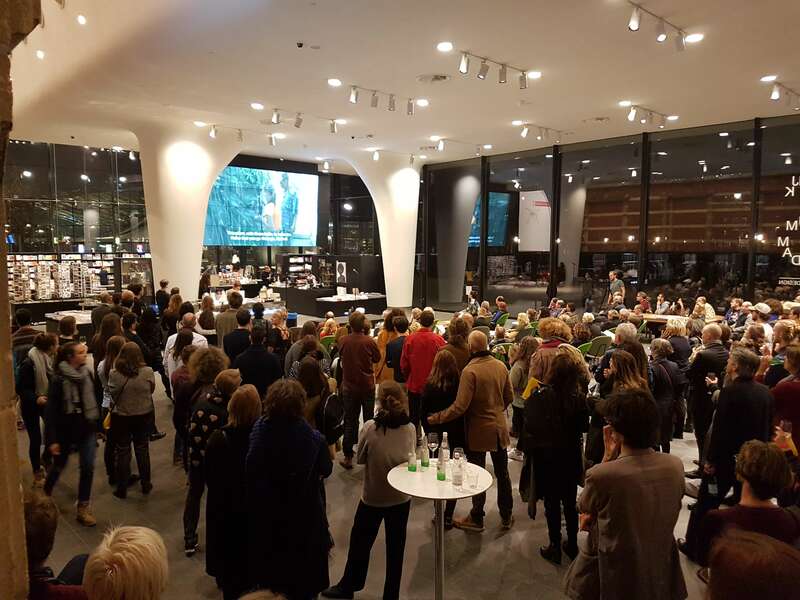 Friday the 3rd of November the InspectorV team joined the congress Worlding the brain held by the Stedelijk Museum and the University of Amsterdam. More specifically: the ASCA Research Group Neuroaesthetics and Neurocultures at the University of Amsterdam. 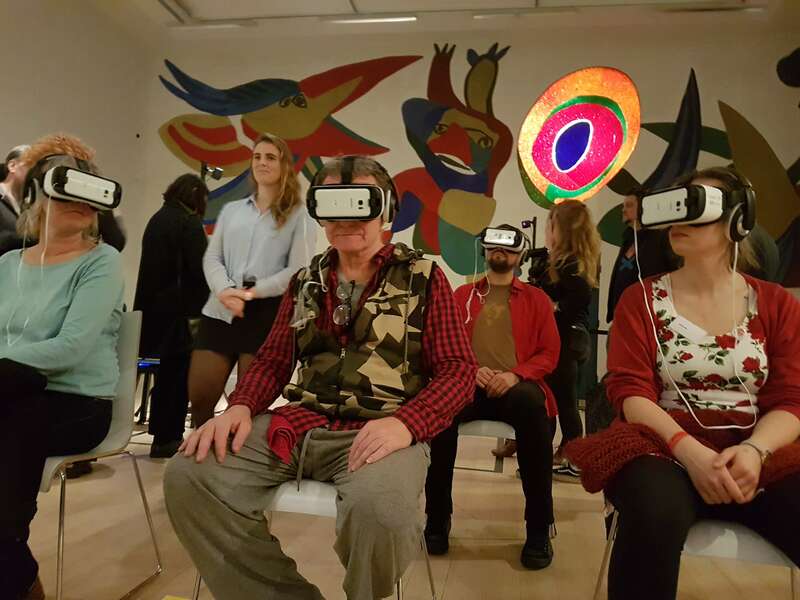 I want to take visitors of the Stedelijk Museum on a “journey through the brain” where neuroscientist, psychiatrists, artists, patients, and philosophers are equal partners in dialogue. This group is dedicated to the critical and productive study of the rise of the neuro-turn from a humanities perspective. 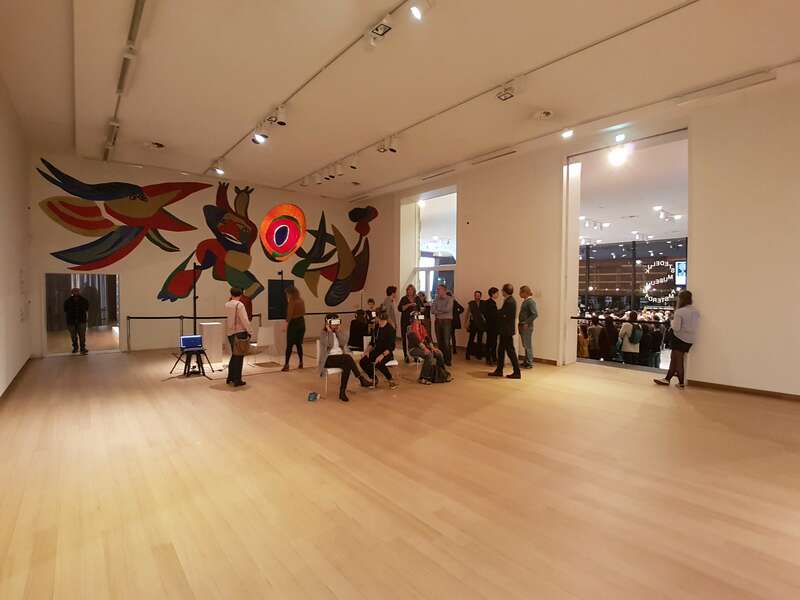 (Worlding the Brain2017.com) As one of the speakers Patricia Pisters states: This evening I want to take visitors of the Stedelijk Museum on a “journey through the brain” where neuroscientist, psychiatrists, artists, patients, and philosophers are equal partners in dialogue. 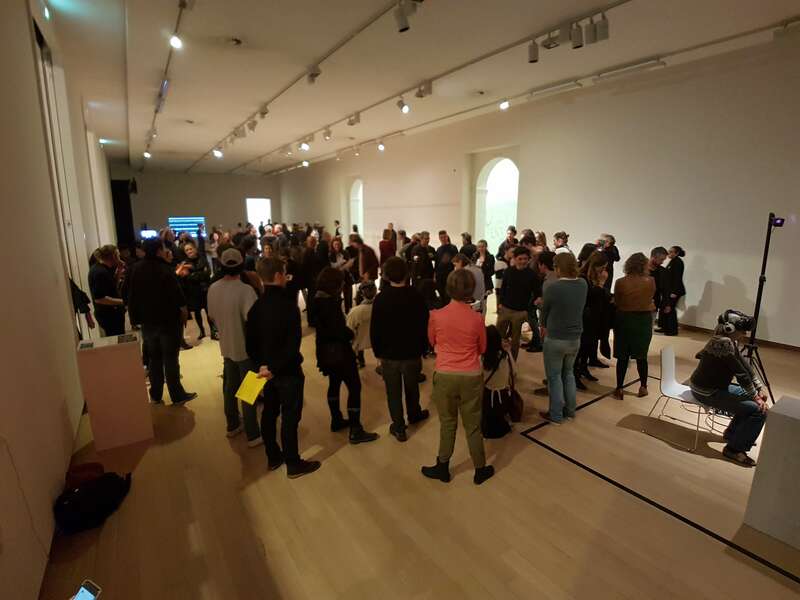 Objective knowledge about synapsis and brain functions is important, but does not give us insights into the subjective experiences of mental processes, which is the domain of the arts and humanities (Worldingthebrain2017.com/stedelijk-statements). InspectorV contributed to this congress by making a VR experience as a part of the IYANTWAY (If You Are Not There, Where Are You?) project. In which visitors could experience the absences of Abel, May and Niek. During the whole evening visitors where occupy the four chairs forming the experience, it was a great succes.